If you’re feeling a little perplexed by the Black Friday madness, you’re not alone. Many South African consumers are wondering why local retailers are following an American tradition? And the answer is simple – sales. Considered the start of the Christmas shopping rush, Black Friday sees retailers offering their customers massive sales and savings to welcome the end of year shopping season. While you might not think that this “holiday” holds any relevance in SA, in 2016, economists attributed an end of year spike in retail activity to Black Friday. And despite sluggish economic activity, this year’s Black Friday is expected to be the biggest yet. Test your resources: Let’s face it, websites crash. But no retailer can afford to have their site go down on one of the busiest shopping days of the year. Given the frenzy around securing a bargain before the next guy, nothing will send customers away faster than a sluggish website. As part of your Black Friday planning, conduct a speed test to assess the performance of your site. If you’re worried, chat to your IT team or service provider about scaling up your bandwidth to handle the expected spike in traffic. 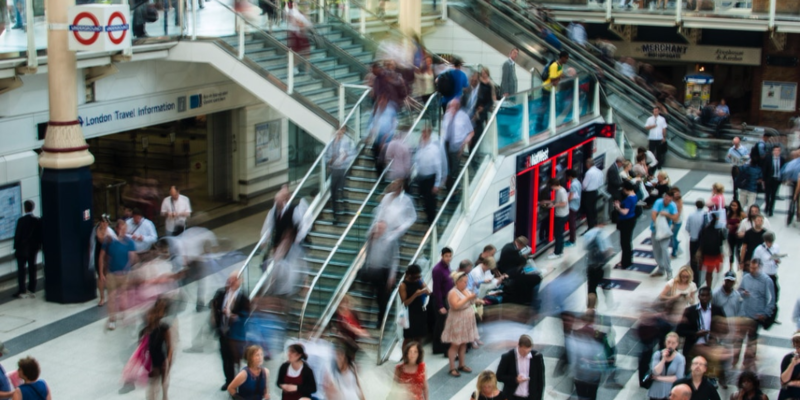 Within your actual store, you’re going to want to make sure that your in-store connectivity – from till payments to stock checking functionality – can handle the Black Friday influx. Up telephone capacity: With more customers come more calls. And when missing a call could mean missing a sale, it’s crucial that this communication channel is always available. Be it to handle queries, or even complaints, your telecoms provider should be able to help you set up additional lines, run tests and even offer you guidance around your resource allocation strategy. Listen to your customers. And then respond: In line with the above, modern customers want to communicate with brands using their preferred channel. Whether they’re tweeting at you, writing on your Facebook page or sending you an email, you need to have staff at the ready to handle all customer correspondence. This means providing staff with access to all apps, tools and mobile resources they need to provide your customers with a positive Black Friday experience. This could also mean investing in a few social listening tools so you can align your correspondence with conversations already happening online. With the right telecoms expense and lifecycle management (TEM) partner you should be able to handle all of the above without any problems. Not only will they help you access any additional functionality you may need and ensure that all your communication channels are up and running, they’ll also offer support and advice to ensure that your retail business is perfectly positioned to make the most of the busy festive period. Time is running out to ride the Black Friday wave. For more tips and tricks about how to ensure your retail business stays ahead of the competition, subscribe to our newsletter below.